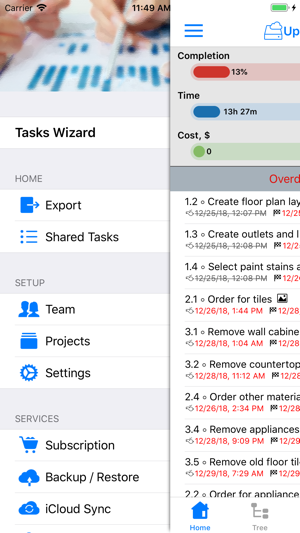 Simple, effective multi-project Task Management solution for personal and small business projects. 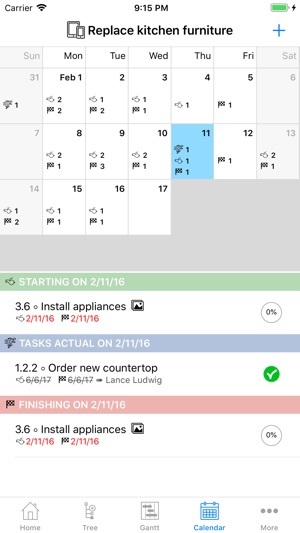 Easy control progress with gantt chart, calendar views. 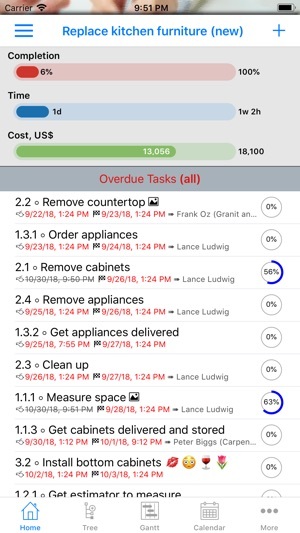 Perform task assignments to team members visually. Attach photos to illustrate task better. Control time, dates, cost and materials. Add predecessors to constraint task execution. Multiple views, including list/search, tree browsing, gantt chart, calendar view. 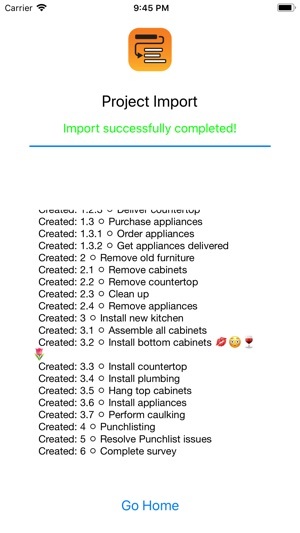 Be notified on task start and finish dates/times. 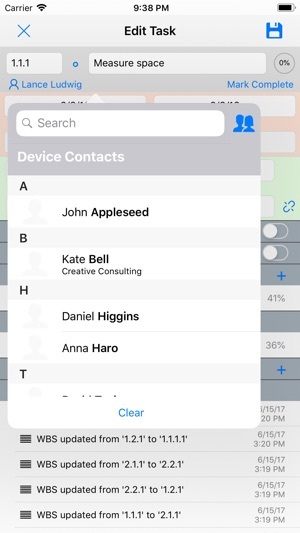 Ability to share tasks with other iCloud users. 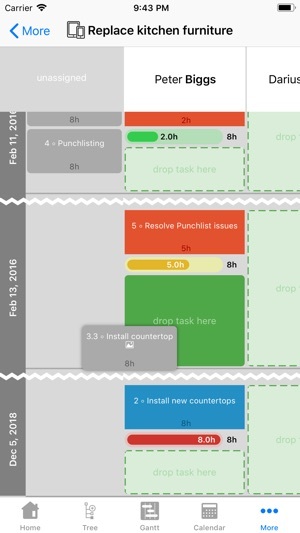 On Gantt chart tasks can be visually edited (moved and/or stretched). Relationship between tasks will be show with arrow. Gantt chart shows one of three planned vs. actual metrics: time, cost or completion. 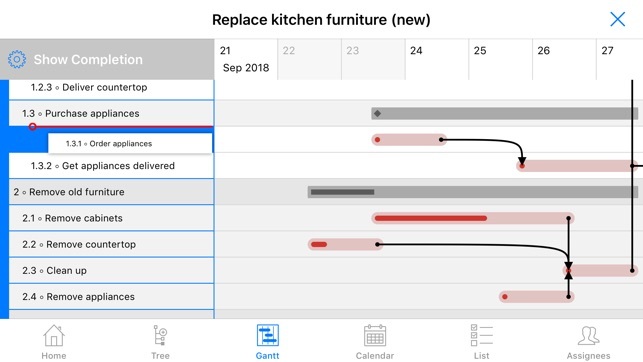 Tasks can be re-sequenced (single or groups) when switch on edit mode on a Gantt view. 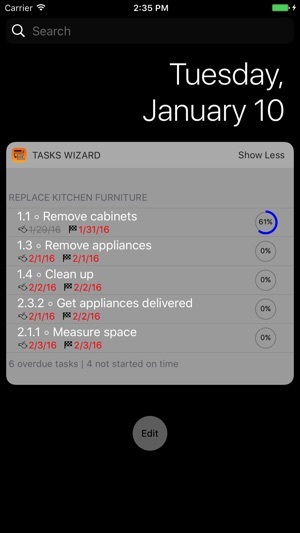 Quick glance to overdue or late tasks can be done via use of iOS Today Extension. 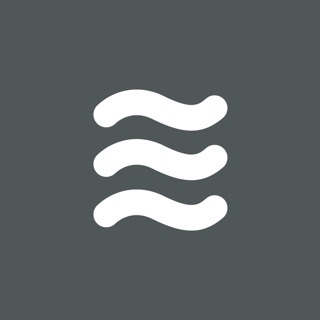 Data can be shared via iCloud on multiple devices to be automatically synchronized. 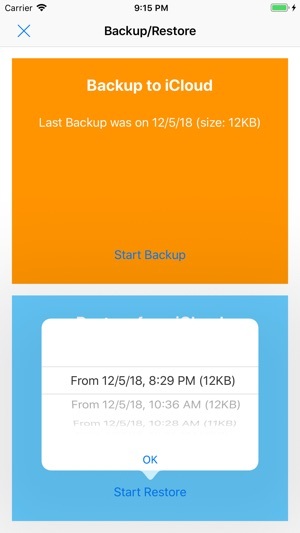 iCloud can also be used for data backups. NOTE: In case of purchasing a subscription first time you will be charged only on 8th day (it includes a 7-day free trial). This is one of the least intuitive user interfaces I've ever tried. Application has quite a few interfaces - we will highly appreciate if you specify which one you had difficulties with and in what way. Thank you in advance! The concept and functionality of the app is great but I'm not so sure if it is a good idea to pitch a subscription on the start up screen right when the app is free to download from the store. 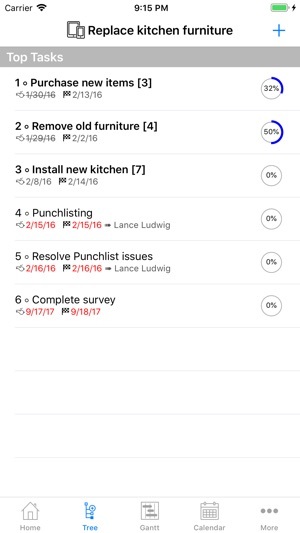 Otherwise, this app is a great tool to help keep track of the things that needs to be done. The app is just great and actually I’ve been waiting for such app though few similar others are already in the market. All I’m worried is it can’t be bought for ever and is available for a recurring subscription.